Happy Women’s Equality Day! « Adafruit Industries – Makers, hackers, artists, designers and engineers! Women’s Equality Day is a day proclaimed each year by the United States President to commemorate the granting of the vote to women throughout the country. 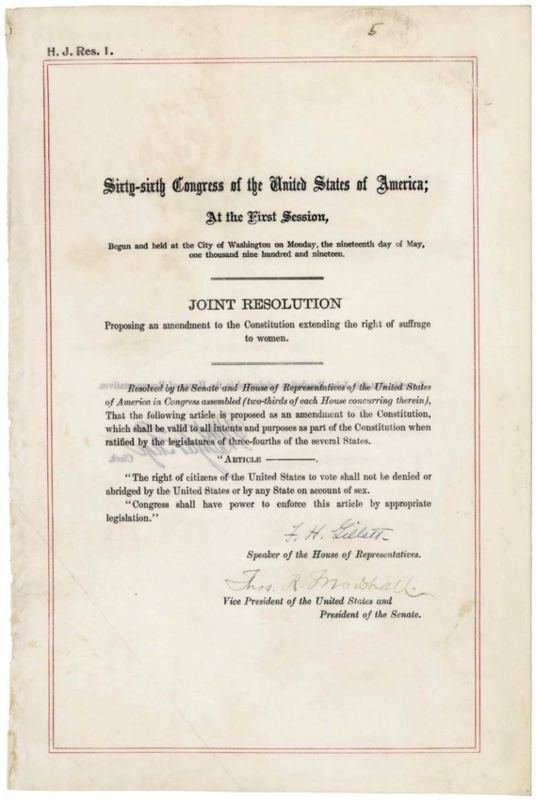 Women in the United States were granted the right to vote on August 26, 1920, when the 19th Amendment to the United States Constitution was certified as law. The amendment was first introduced many years earlier in 1878. Every president has published a proclamation for Women’s Equality Day since 1972, the year after legislation was first introduced in Congress by Bella Abzug. This resolution was passed in 1971 designating August 26 of each year as Women’s Equality Day. Comments Off on Happy Women’s Equality Day!